“Alchemy” is an original story by Clive Nolan, an acclaimed musician and composer known in the field of progressive rock for his work with bands like Arena, Shadowland, Pendragon. Now he has entered the world of musical theatre. Nolan is the author of 'She the Musical', 'Otra Vida' and many more. 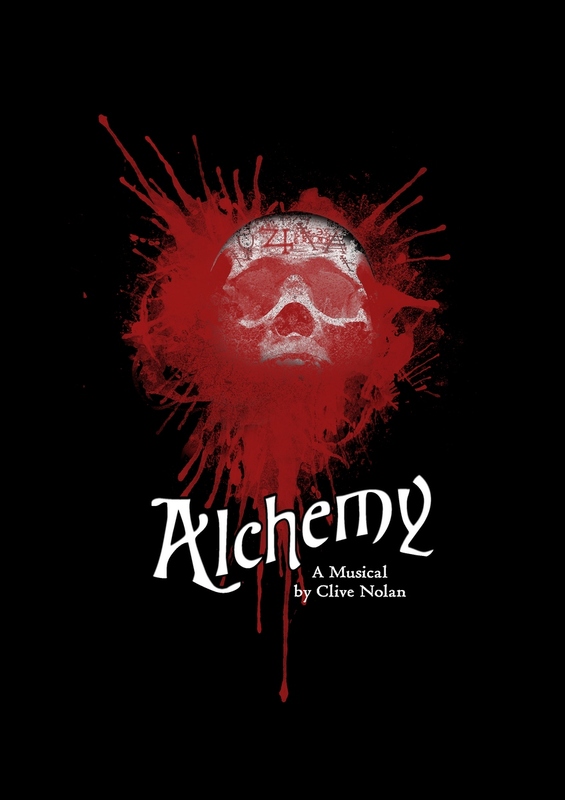 “Alchemy” is the second musical by the composer released on CD and DVD in 2013 and toured around Europe, including Holland, Germany, Poland and the London off-West End. “Alchemy” is a tale that reaches deep into the mysteries that mankind has striven to solve for centuries: the story of the shadowy world of alchemy… dark science… and the supernatural. This is a Victorian ‘Steampunk’ tale of adventure, passion, betrayal and revenge… The search for long lost secrets… the lust for retribution and the quest for the greatest power on earth. It’s a race for the ultimate prize… transforming lead into gold, changing death into life, or perhaps turning hatred into love. Professor Samuel King embarks on a quest to find the three hidden artefacts left behind by alchemist, Thomas Anzeray. Initially he is aided and later betrayed by Lord Jagman, who believes King to be dead. Jagman pursues the artefacts, with no heed for human life or feeling. He tricks some vital information from a helpless girl, Amelia, imprisoned in Newgate for unpaid debts. She finds herself double-crossed and sentenced for public execution, but as she is taken to the scaffold before the baying crowd, she is saved by a daring escape plan from King and his friends, Eva and William. It is now a race against time between King and Jagman to secure the artefacts and perform the long lost ‘Anzeray Resurrection’, which would open the doorway between life and death. Alchemy! … Do you believe?